One of my favourite cartoons as a kid was He-Man. 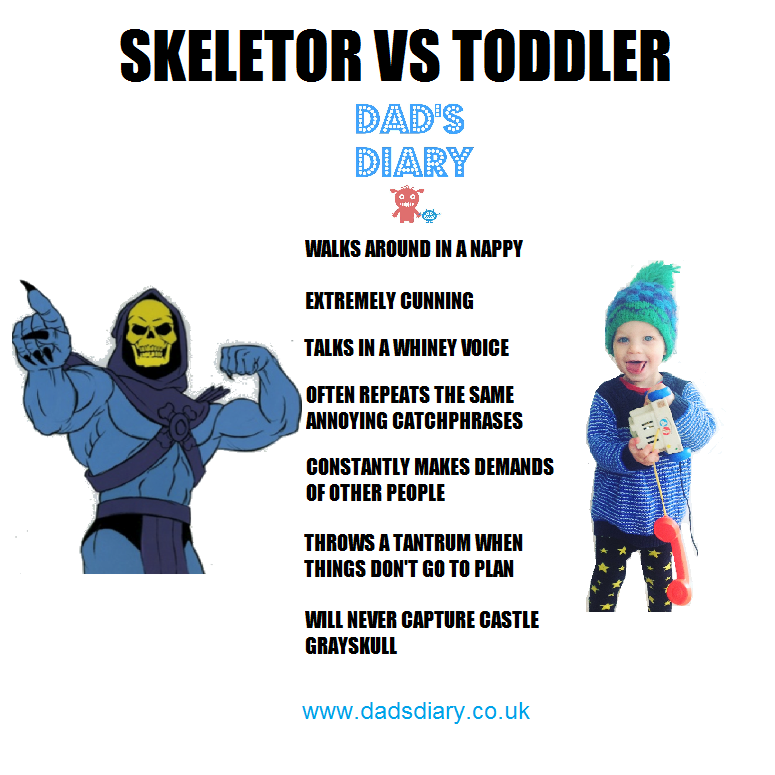 But it suddenly occurred to me that my son is basically Skeletor in disguise. So I dusted off my rusty MS Paint skills and compared them. The similarities are spooky. Who do you think wins?! All of the original He-Man episodes can be found on YouTube now. If you watch it back as an adult, it's the most ridiculous show, the voice acting is so over the top, and every episode features a corny moral 'message' at the end. Well worth taking a look! They just don't make TV like that any more. I also love @GrumpySkeletor on Twitter. He's so on the money with his clever captions, and constantly sums up how stupid He-Man and Prince Adam are. A very funny tweeter, that one. Liked this? Subscribe to my page on Facebook!